Discover the foodie delights of Hong Kong - guided by an Australian ex-pat living in Sham Shui Po. Did you know, Virgin Australia is now flying daily return services between Melbourne and Hong Kong! To celebrate, we reached out to an Australian ex-pat living in Sham Shui Po to uncover the best on offer in this buzzing metropolis. Over the following three-part blog series, we’ll weave our way through some of our favourite to eat, drink, shop and see in Hong Kong. So let’s start with the most important part, food. Hong Kong is an eclectic culinary paradise where you can sample traditional Cantonese cuisine alongside French, Japanese, Vietnamese, Sichuanese and various gastronomic fusions. To get an authentic taste of Hong Kong, meander through the Dai Pai Dong (street food stalls). The eccentricity and scope of the street food can be a little overwhelming, but make sure you don’t miss the Lo Mai Gai, Char Sui Baau, Egg Waffles, Pineapple Buns, Siu Yuk and Claypot Rice. Once you’ve had your fill of Hong Kong’s hawkers, be sure to dine at an iconic Dim Sum tea house. Tim Ho Wan in Sham Shui Po comes highly recommended as a quintessential Dim Sum experience. Fun fact, this establishment is also renowned for being the cheapest Michelin Star restaurant in the world! 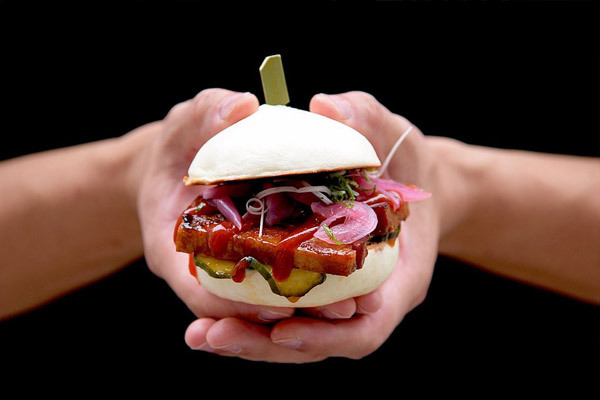 Little Bao is a hip diner in SoHo serving up modern Chinese share plates and Asian burgers known as Bao. The Pork Belly is what everyone’s talkin’ bao but we also recommend the Brussel Sprouts cooked in a fish sauce caramel. Make sure you leave room for dessert because a trip to Hong Kong isn’t complete without an LB Ice Cream Bao, made with green tea and condensed milk. This place really is east-meets-west at its best. If you’re on the hunt for an ooh la la-À La Carte dining experience, look no further than AMMO. The food is Mediterranean - Asian fusion and the design is self-confessed ‘Military Chic’. Whilst these are not two words you’d typically pair together, the description is oddly accurate in this context. 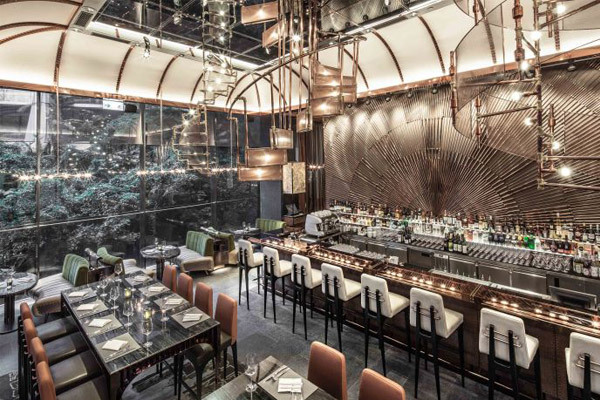 The restaurant is located in a former 19th century explosives compound, brought back to life by renowned designer Joyce Wang. Wang drew inspiration from the 1965 French Sci-Fi film, Alphaville by Jean-Luc Godard, and turned the heritage listed site into an avant-garde vision. Be sure to book well in advance if you want to feast your eyes on this aesthetic masterpiece for yourself. 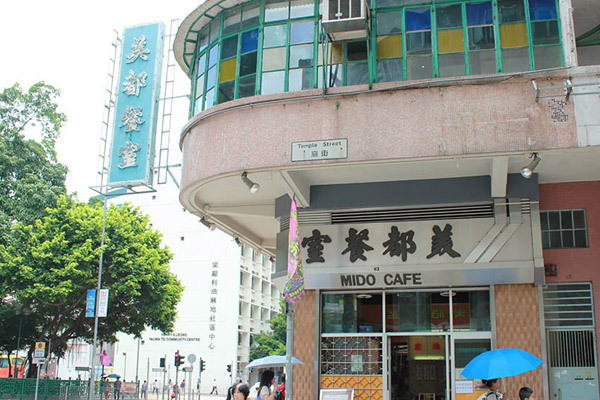 Mido Café is a 1950’s Cha Chaan Teng (local tea house) located in You Me Tei. Whilst you won’t find any Michelin stars here, the establishment has been a long-time haunt for stars of the Chinese film scene and it’s not hard to see why. The old school interior and eclectic, colonial menu creates a nostalgic atmosphere and a unique dining experience. Take a risk with some of the edgier dishes on the extensive menu such as the Pork Chop Macaroni, Condensed Milk and Peanut Butter Toast, Beef Tongue with Tomato Sauce, and Macanese Style Baked Pork Chop. Yardbird is a contemporary Izakaya eatery in Sheung Wan, serving up some of the best Yakitori outside of Tokyo. The restaurant pairs a sophisticated Japanese menu with an eclectic cocktail list and an upbeat ambience. The Eggplant Salad and Miso Breast Yakitori come highly recommended, but don’t shy away from some of the queasier items on the menu, including gizzard, heart, neck and knee yakitori. Just make sure you’ve ordered a Yu-Gin Highball or a Wakayama Margarita to wash it all down. Po’s Atelier is a boutique bakery serving up artisan breads and pastries in the hip enclave of Sheung Wan. The bakery was established by art director/ photographer duo Vincent Cheng and Jonathan Leijonhufvud in partnership with renowned Japanese baker, Masami Asano. The team have broken bread across the globe in search for the perfect loaf. The end result is a French-Japanese hybrid style of baking that incorporates local products such as oolong tea and Cheng’s mother’s homemade soymilk. You can’t really go wrong with your selection here, but be sure to try the Oolong Fig Bread, Madam Cheng Loaf, Pain Du Chocolat and selection of seasonal danishes all made from scratch on-site. Bon Appetit! We hope this post has given you a solid introduction into the culinary wonders of Hong Kong. If you’re hungry for more, stay tuned for the next installment! Virgin Australia is now operating daily direct flights between Melbourne and Hong Kong. Search and book for flights to start planning your Hong Kong getaway!